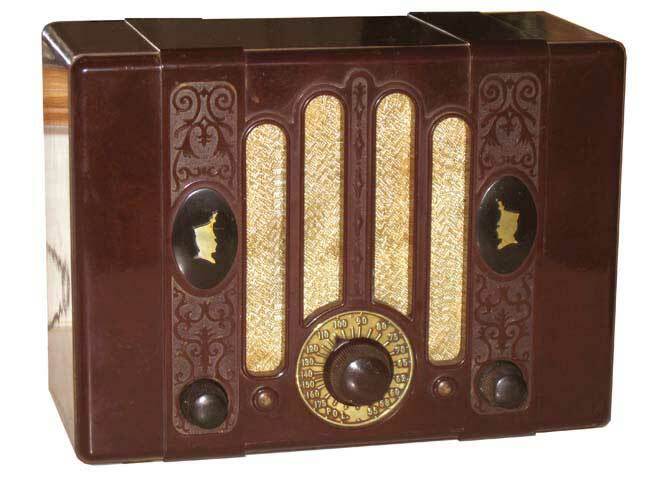 This stylish but seldom seen Kadette produced by the International Radio Corp has the more common brown bakelite cabinet with interesting and intricate detailing on the front. 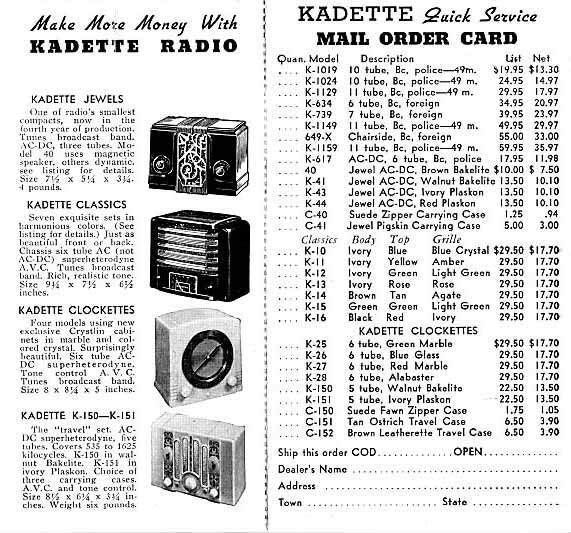 Kadette likely continued some of the electrical designs from earlier models into the model 90; the 12A7 used in both the Junior and Jewel is again used in the 90 as a rectifier and audio output tube. However, the 90 has a superheterodyne circuit that is superior to the TRF circuit in the Junior and the I.F. cans take up significant chassis space and not to mention the small power transformer they managed to fit on the chassis. The four tubes snugly fit on the narrow chassis. Kadette never ceases to amaze me with their cramped radios because every cubic inch was used up well. 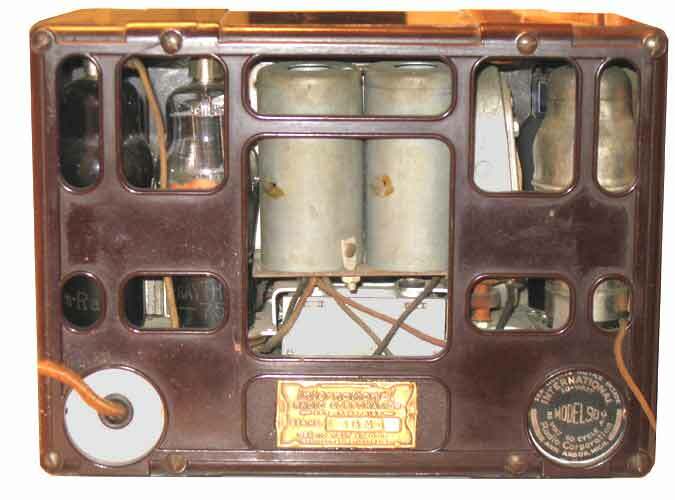 The cabinet of the model 90 was reused in a newer series of models in the late 1930s including K-150 (bakelite), K-151 (plaskon), and K-152 (mottled peanut butter). The first two are listed in the 1938 dealer brochure snippet below.